Heat oven to 425°F. 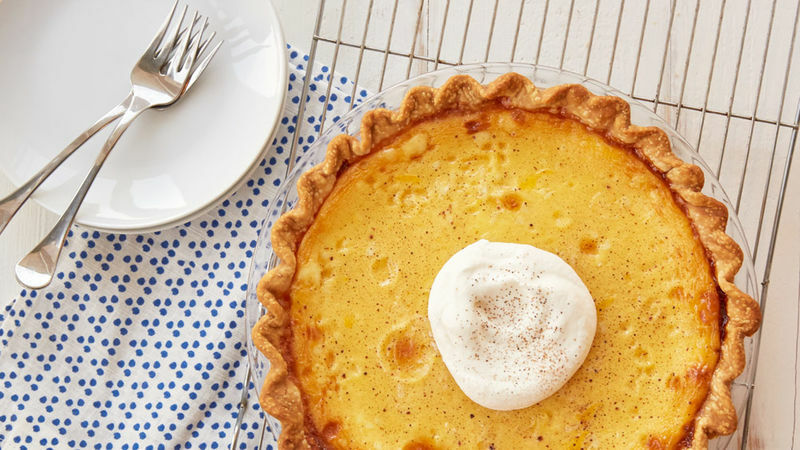 Place pie crust in 9-inch pie pan as directed on package for one-crust filled pie. Do not prick crust. Bake at 425°F. for 7 to 9 minutes or until light golden brown. Reduce oven temperature to 350°F. In large bowl, combine sugar, eggnog and eggs; blend well. Pour into partially baked crust. Sprinkle with nutmeg. Bake at 350°F. for 45 to 50 minutes or until almost set. (Center of filling will be soft.) Cover edge of crust with strips of foil after 15 minutes of baking to prevent excessive browning. Cool 2 hours or until completely cooled. Store in refrigerator. Cut second crust into stars using small star-shaped cookie cutter. 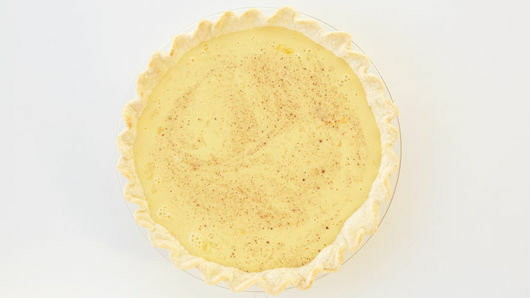 Brush edge of pie crust with beaten egg; arrange stars in decorative pattern around edge. 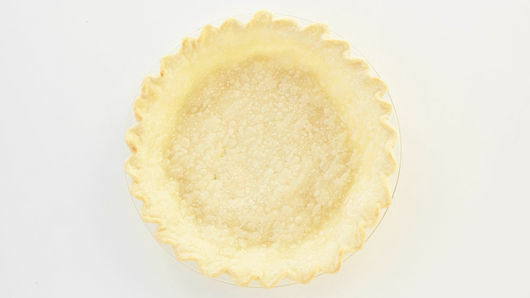 When baking crust before filling is added, it may puff up in center. Using back of wooden spoon, carefully push it down in pie pan.